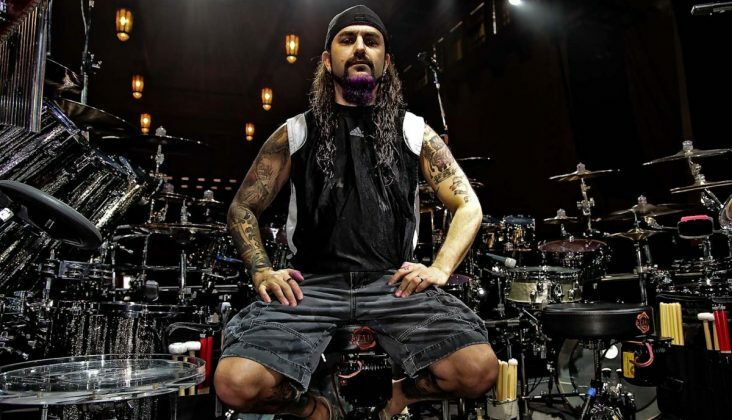 MetalRockNews: Mike Portnoy: "Everything I've done in the last five years is the stuff dreams are made of"
Mike Portnoy: "Everything I've done in the last five years is the stuff dreams are made of"
Mike Portnoy was recently interviewed by Metal Assault, you can read some excerpts below. About if he ever feels overwhelmed when he thinks about how many bands and projects he is currently in. He responded: "I can handle it. I'm wired that way. I'm playing in six bands/projects at the moment, but I'm able to comfortably juggle them and keep an eye on my schedule. It's not for everyone, though. Very few people in the business keep as busy as I do. I choose to do it and I enjoy doing it. It's just the way I'm wired, and I'm a workaholic. A lot of people don't understand that, and I feel that there's a lot of skepticism around any band I'm associated with, as if it's a negative thing. To me, it's a positive thing. It's all about the music, and I work as hard as I do strictly because of the music. It's not a money thing, it's not a career thing. It's simply to do with me being a music fan with a broad taste, wanting to do different styles and wanting to work with lots of different people. After spending 25 years strictly dedicated to one band, I feel free now! As far as I know, you only live once. So, I want to make the most of it while I can and work with as many different people as I can. And as long as I am willing to juggle it in my schedule, I don't see why anybody else should have an issue with it." About how leaving Dream Theater five years ago has freed him up to get involved with a number of new projects. He said: "It's been amazing. I would say in the last five years of my career, I've done more than what most people do in their entire careers, probably times ten, actually. I've played in a dozen different bands, I've done a dozen different albums, and I wouldn't have been able to do any of those things had I stayed. I would have been wondering 'what if', if I hadn't left. I needed to explore these things, to do the album I did with Metal Allegiance, to play with musicians like Billy Sheehan, Richie Kotzen and Steve Morse, and all these different people that have helped me go into different areas, musically. It's been an incredible experience, playing with Twisted Sister, Stone Sour, Avenged Sevenfold, jamming with Ace Frehley and Peter Criss, and the list goes on and on and on. Everything I've done in the last five years is the stuff dreams are made of." About if he would recommend to younger musicians in general to explore different facets of their talents and seek out other projects, Portnoy said: "I think it's a little different for me because I'm doing this well into my career. I don't know if I would recommend a young person to do this and branch out. I think it's important for a young musician to stick with a band for a while, and really work with a band and stay focused. The way I work with so many different bands and projects works for me because I'm already established, and I already spent 25 years in one band. So, I wouldn't recommend somebody to go out and five different bands at the start of their career. I think it's important to have a home base and a focus to really develop yourself and your career, and stay passionate with one band. I'm much later in my career and I can explore new things now, but there's something to be said about being in one band for a long time. For me it was 25 years, longer than the existence of most bands. It was a long run, but it's what got me where I am today and gave me the ability to explore like I can now."